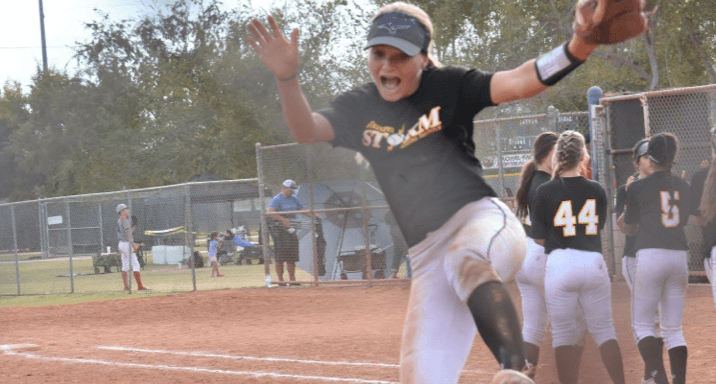 Some girls just want to have fun... and Rylee Holtorf, the #1 player in the 2021 Extra Elite 100, believes having fun is key to having success on and off the field. Those are the top priorities in the life of Rylee Holtorf, the sophomore at Sandra Day O’Conner in Phoenix, Arizona, who last Friday was named as the top player in the 2021 Extra Elite 100. We guarantee those “four F’s” that drive her to be the success she is on and off the field are definitely not prioritized in that order--in fact, they may be in reverse order--but together complete the package that makes the 15-year-old--she turns 16 on February 17--a special talent. 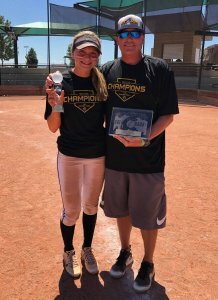 Rylee with her father and coach, Ronnie Holtorf, after winning the Colorado Sparkler Jr. 14U Power Pool in 2018. Rylee, who has committed to the University of Washington, helped her Mizuno Storm 14U team win the Colorado Sparkler Jr. Power Pool this summer and finish 3rd at PGF Nationals. She has also been playing a lot of competition at the 18U level for Corey Mathis’s team based out of Arizona and not missed a beat. At the high school level playing for Sandra Day O’Connor (Phoenix, Arizona) High last spring, the then-freshman batted .516 with 42 RBIs and 48 hits to earn All-American honors and lead her team to the quarterfinals. Rylee’s earliest memories of softball involve her playing in a neighborhood park where she’d hit a whiffle ball at the age of 6. She and a fellow softball player, Amber Brewer, who was then 10 and is now a freshman at Carroll College in Montana, would go to the park and be tossed balls thrown by Rylee’s father, Ronnie, who has long been a coach in her life after being a college baseball player at Grand Canyon University. 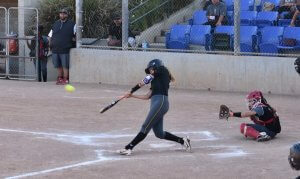 The infielder hit nine home runs at PGF including a walk-off grand slam. Her mother, Ryanne (pronounced “Ryan”), was a college softball pitcher and, like her husband, saw the competitive fire in their oldest daughter when she was very young. The athlete’s mother says she knew when Rylee was about 12-years-old that she had what it would take to play in college. Grace Lyons, now at Oklahoma, helped a young Rylee with her fielding skills development. The infielder credits being surrounded by talented players who raised her game and she gives kudos to defensive wiz Grace Lyons, currently a freshman infielder at the University of Oklahoma and fellow O’Connor alum, for elevating her game. Another factor in the development of the athlete, her father believes, was traveling to California to play against elite talent on a regular basis. Part of the reason for Rylee’s current success is she’s always had an inward desire to better herself, which her parents frequently witnessed first-hand. 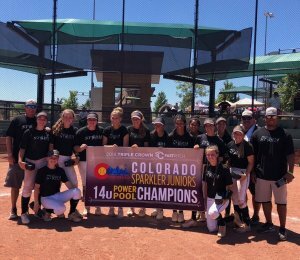 The 2018 Mizuno Storm team which won the Colorado Sparkler 14U Power Pool. The part-time coach and full-time father says it wasn’t long before others started confirming his thoughts that Rylee was major college material. Ronnie Holtorff credits the OnDeck Softball events for helping launch Rylee into being a national recruit. She attended a Phoenix tryout in September of 2015 and out of over 100 kids of all ages, 17 were invited to attend the Jamborees and West Coast Elite Camp run by Derek and Joann Allister and their family. In the fall of 2015, Rylee was invited to an Oklahoma Elite Camp and competed at the event with 29 great athletes from around the nation. Being with many of the best players in the country also helped the Arizona infielder and her parents realize she was right there with them. The infielder would soon be invited, or visit on her own, several college campuses in the West including Oregon, Arizona, Grand Canyon and Washington. ...and gets congratulations from her third base coach, her father! 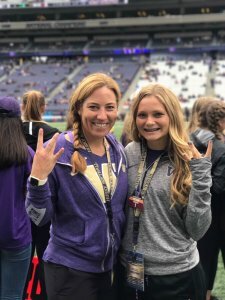 What interested Rylee in the Husky program was what she saw in Heather Tarr’s team when the Pac-12 school visited Arizona to play a double header against Grand Canyon and a weekend series against the University of Arizona. What the middle schooler noticed and was impressed by was not the wins, but how the Husky players and coaches handled the adversity of losing. That weekend, the young athlete said she wanted to go to Seattle and check out the school. After going home, Rylee became more convinced of her decision and two weeks later called Heather Tarr and committed over the phone. “I still have that recording,” she says. Rylee may live by the 4 “F’s,” but her family is all “R’s.” As in her parents Ronnie and Ryanne and siblings Reese, Raegan and Reid. Ronnie, the father, played baseball at Grand Canyon University along with an older brother. A younger brother also played collegiately. The Holtorf family (l-r): Reese, Raegan, Rylee, Reid and parent Ronnie & Ryanne. 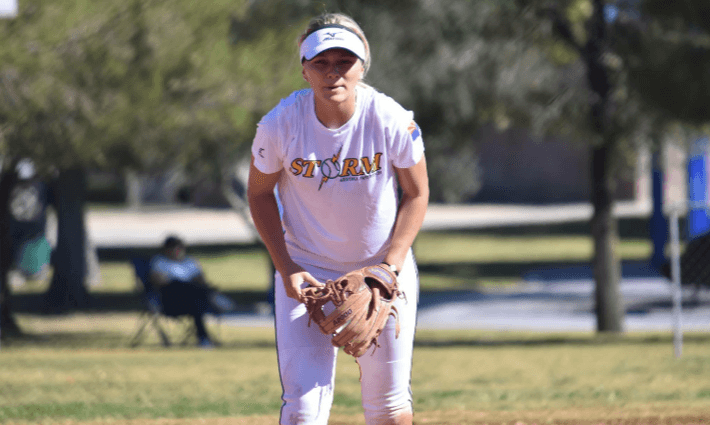 Ryanne, the mother, was a standout in softball and pitched her freshman year at New Mexico State before transferring to Phoenix College where her team won the JC National Championship. She had offers to continue to play at bigger schools as she threw in the 60’s range with a good rise and change-up, but decided to retire and start a family. The two athletes had met at Moon Valley High School in Phoenix when Ronnie was a junior and Ryanne was a freshman. Eventually, they’d marry and have three daughters and a son--all of them being accomplished athletes. 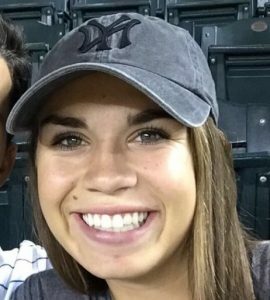 Rylee became a highly sought-after softball player while Reese (age 14) matriculated towards volleyball. Raegan (12) is on a Mizuno Storm 12U team that her parents help coach as does Rylee when she has time. Reid (8) plays all sports, but loves baseball. 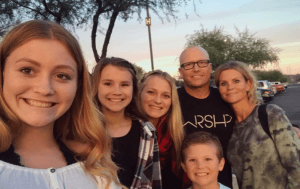 Living in Peoria, Arizona, a suburb of Phoenix, the Holtorf family is seemingly always on the road at somebody’s game or match. Rylee is quick to give her appreciation for having parents--both of whom coach as assistants in the Storm organization--who have been undying supporters of her softball dreams. “I’m so grateful to have parents who willingly hit me ground balls and willingly throw me BP whenever I ask. My dad may be hard on me sometimes as my coach, but I wouldn’t want it any other way. Him constantly pushing me has made me work my hardest and never settle for anything less than my best. I owe a huge amount of my success and process to my parents and the time they invested into me and my softball career. Rylee confesses something that would surprise many. Rylee and her family say her focus on the field is largely due to her faith. One attribute that most mention about the athlete is her ability to stay focused and unaffected, handling the disappointment of a loss or a bad game like the inconsequential outcome it, in time, turns out to be. Rylee’s grandmother, Debbie Holtorf, and her father helped found the original Christ Church of the Valley which has expanded to seven campuses throughout Arizona. The sophomore volunteers to help on Saturdays when she can, spending an hour to teach the small children faith-based messages. She used to do pre-school volunteering and will move up to work with junior high students starting this spring. Her mother says Rylee has always been cool under pressure and has an idea where that fortitude comes from… mostly. It’s not unusual to see Rylee doing something, well, unsoftball-like on the field. Recently, after a good win for the Storm, she called over a team mom with a camera to have her snap some photos. She admits that during the season, she and her Storm infielder teammate Bridget Donahey, a freshman committed to Northwestern, will look at each other and, to relieve the pressure, will suddenly break out some dance moves. The high school sophomore having fun with her future Husky coach, Heather Tarr. “Fun” is a word Rylee throws out frequently. And it’s a word that many use to describe her. 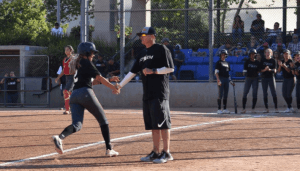 The athlete’s father thinks her first encounter with the Washington infield and how they played with energy, but also with a playful attitude influenced Rylee. What’s fun for Rylee, not surprisingly, is winning. However, she isn’t one to tout her abilities, but is more likely to praise her teammates. Her favorite highlight in her softball career, she finally explains after several sections of reflection, was more about her team than her. 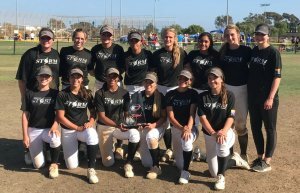 The 2018 Mizuno Storm team which finished 3rd at PGF 14U Premier Nationals. She says her success has been due, in large part, to her supportive teammates. It’s not to say she can’t be serious. At a team party a week or so ago, Rylee, Bridget and fellow infielder Viviana Martinez, a freshman committed to Oregon, read a speech they collectively wrote for their head coach, Corey Mathis. The comments were so powerful, that the Storm head coach got emotional when asked what that speech meant to him. Ultimately, it comes down to enjoying life--thus the “fun” part--for Rylee as well as appreciating her time with her family and fastpitch softball and utilizing her faith to support and uplift others. Rylee trusts her feelings and once she committed to the Huskies, she’s always felt she made the right decision, because of a gut-feeling--a spiritual confirmation, if you will--as her faith confirmed her fastpitch future because of the fun she saw with the support of her family.